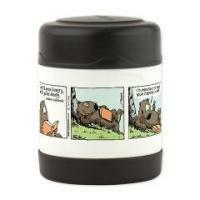 The BUSHY TALES comic strip, with its cute and iconic characters, lends itself to many wonderful gift products....ideal gifts for yourself, or those special people in your life. 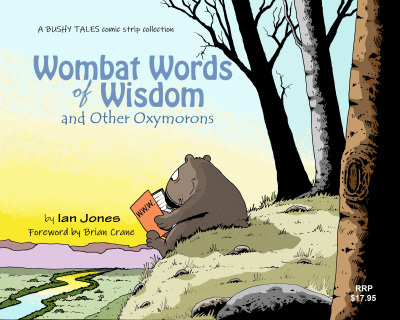 "WOMBAT WORDS OF WISDOM - And Other Oxymorons"
Now you can get your own SIGNED copy of your favourite BUSHY TALES strip (daily or Sunday)....at a ridiculously low introductory price! 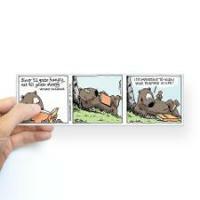 These prints are high-quality and in full colour, printed on good 300gsm A3 size card. 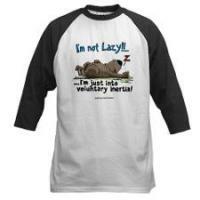 Ideal for framing and hanging in that special spot in your home or office. You can choose any of the BUSHY TALES strips published here on the website, on the Facebook page, or any that you have seen elsewhere. The important thing when ordering is to make sure you include a description (or number) of the particular strip you wish to purchase. You will be able to add this description in the Note To Seller section of the checkout/payment details page. And the already-low price even includes the cost of postage (please note there are different prices for Australian orders and International orders). 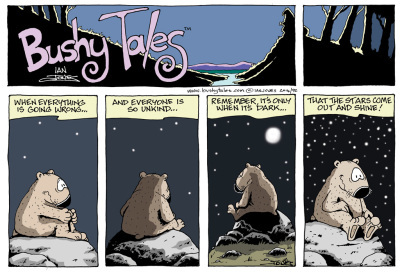 We look forward to sending you your favourite BUSHY TALES strip soon! 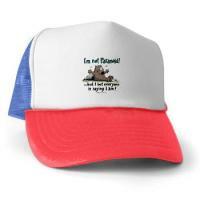 Simply click on the relevant buttons below to place your order. 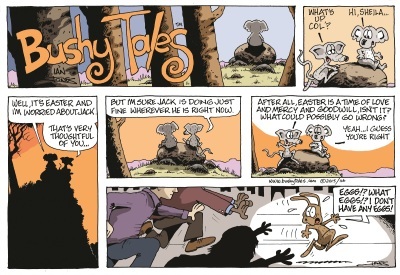 96 pages of full-colour BUSHY TALES comic strip fun! 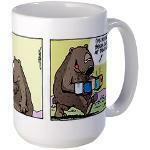 Featuring 27 Sunday strips and 135 daily strips, plus much more! With a special Foreword by Brian Crane, award-winning creator of the hugely popular PICKLES comic strip. 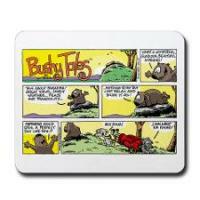 BUSHY TALES​​​ now has it's own Gift Shop with hundreds of great gifts for you! 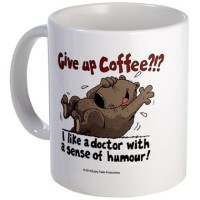 We are setting up our own BUSHY TALES GIFT SHOP through CafePress and, as a result, we will have an enormous range of great BT gifts waiitng for you. 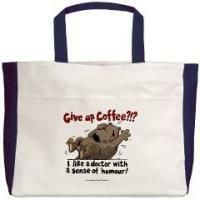 T-shirts, sweatshirts, mugs, pyjamas, magnets, stickers, mousepads, bags, coasters, phone cases, pillows & much more! Here is a small sample of some of the range of products we have available. 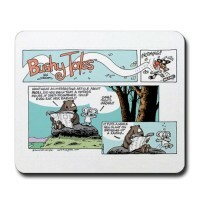 Click the button above to be taken to the BUSHY TALES shop to see the complete range of great gift items.